My first flight of 2015 will take me from Paris to Copenhagen aboard SAS, and today no meals are included in the price of my ticket. 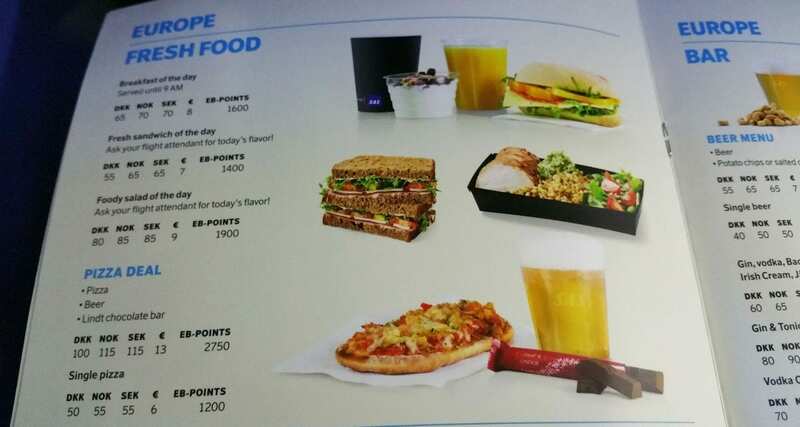 My previous inflight meal experience with SAS can be viewed here and if you would like to view the inflight menu or see what’s included next time you fly, check here. My eyes were drawn to the heavily topped pizza which looked filling and delicious; I ordered a tomato juice to wash it down and waited about 10 minutes for the pizza to be heated. The pizza by itself will set you back €6.00 while as a ‘combo’ deal with a Beer and Chocolate it will cost €13.00. 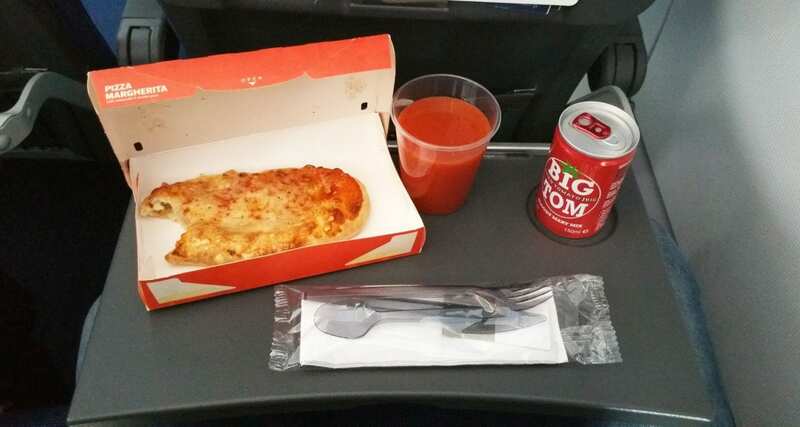 Tip- If you see tomato juice on an inflight menu order it, it tastes great at 35,000ft. Why? Tomatoes are rich in Umami, and the high altitude enhances their flavour. And so after 10 minutes, the “Margherita Pizza” showed up, and it looked nothing like the pizza pictured on the inflight menu. Needless to say after one bite I was convinced that this inflight pizza would go down as one of the worst things I’ve sampled in a while. First world problems, I know, but when you are paying €6.00 for a slice of pizza, you expect a level of quality, or at least for the picture to resemble what was displayed on the menu. Upon sharing the picture on Instagram, I quickly found out that the pizza in question is notoriously known to be horrible.